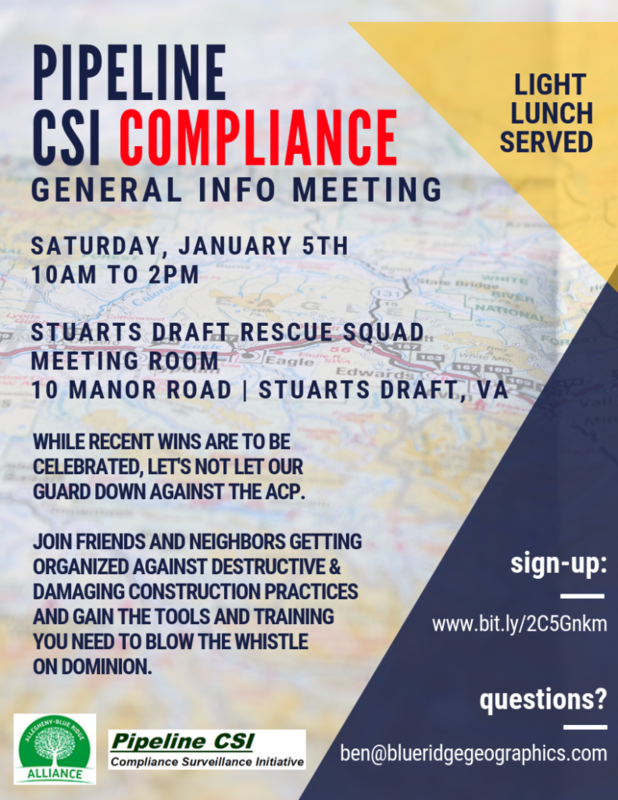 Saturday, March 30th, the Pipeline Air Force will be having its first UAV (drone) meet-up of 2019, and you are invited! 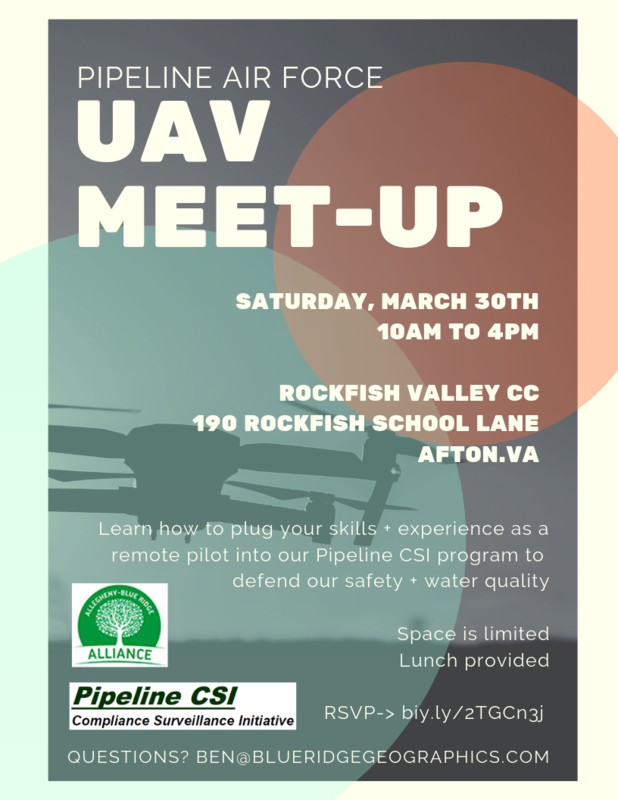 They will be meeting to share skills, knowledge, experience, and ideas regarding UAV technology all day from 10am-4pm in the Rockfish Valley Community Center, in Nelson County, VA. They will be focusing on how to plug your skills and experience as a remote pilot into our Pipeline CSI program to defend our quality of life and water quality in the Blue Ridge and Allegheny mountains of Appalachia, but the skills and lessons to be shared are applicable to many use-cases involving drones. Space is limited to the first 25 folks who register; lunch will be provided for those who RSVP. Registration priority will be given to those who are most serious about joining the program and those who already have their Part 107 license. The Pipeline CSI has been developing our systems and methodology for aerial photos review of missions taken by our volunteer manned aircraft over the past 6 months. 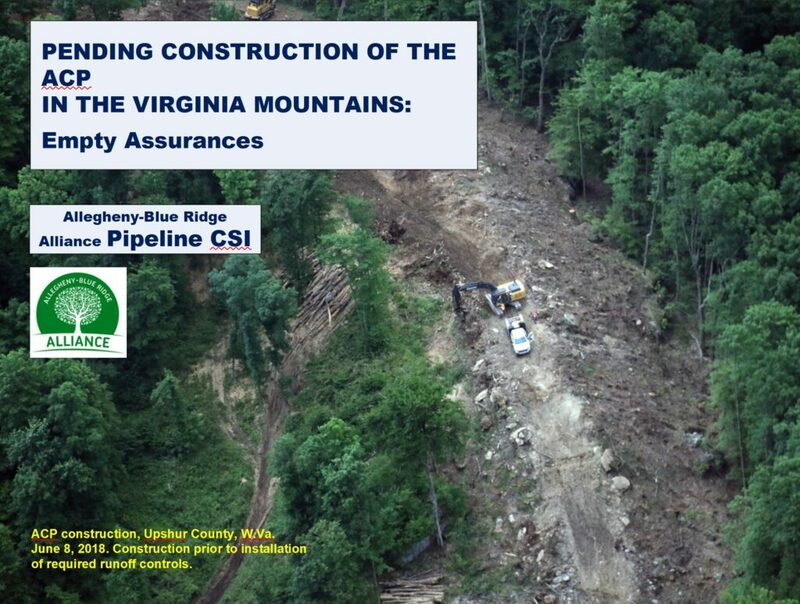 The Atlantic Coast Pipeline project is currently on an indefinite work stoppage until at least September due to their loss of multiple key federal permits. We want to make the most of this reprieve of work by sharing skills, putting our heads together, and getting organized. Come learn how to execute and share flight plans for imagery product creation like orthomosaics and 3D models. See how professionals and volunteers are creating a new way to monitor development of huge construction projects. Meet other remote pilots, technologists, and discover how you can give back to the community at large as a volunteer drone monitor for the Pipeline CSI! What to bring (optional but recommended): your drone, a laptop, and energy, attention, and a good attitude. 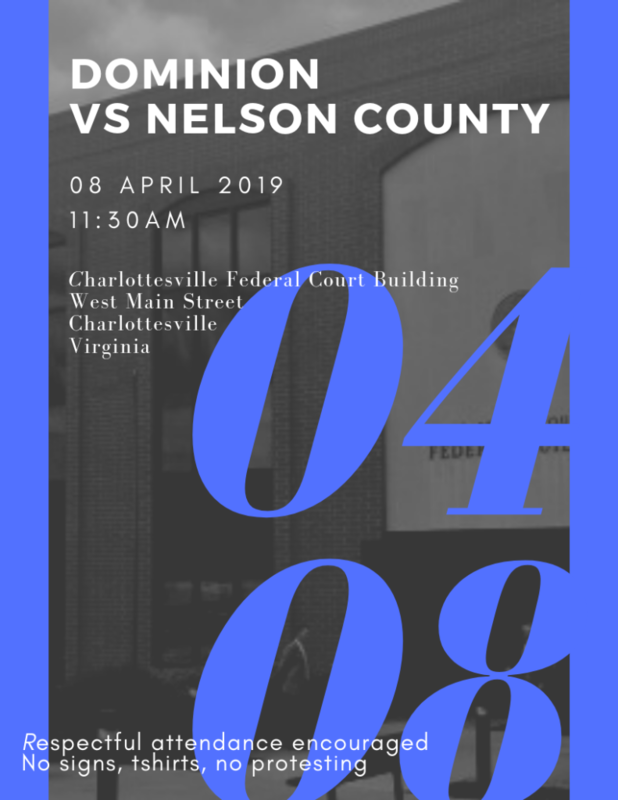 This entry was posted in Citizen Activism, Citizen Surveillance, Events on March 7, 2019 by Ellen Bouton. The Pipeline Compliance Surveillance Initiative (CSI) Surveillance Report for January 24, 2019, includes analysis of the November and December 2018 flight photos by CSI Aerial ImageReviewers. After the analysis, 22 separate complaints concerning regulatory non-compliance were submitted by the West Virginia Rivers Coalition to the West Virginia Department of Environmental Protection. 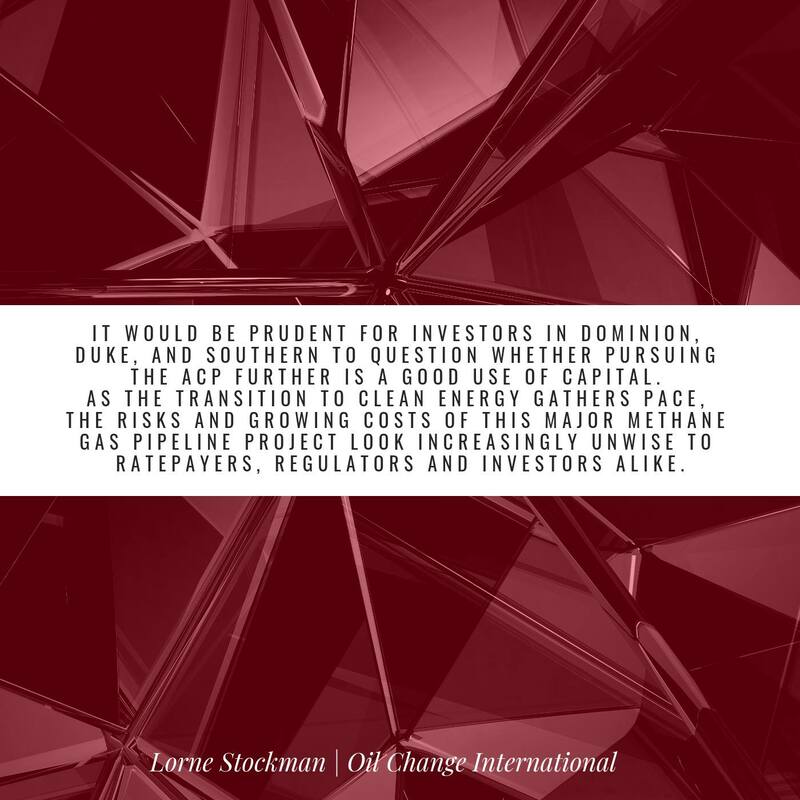 complaints, WVDEP issued a Notice of Violation to Dominion Energy Transportation, Inc. for noncompliance with permit terms and conditions and failure to comply with the project’s approved Storm Water Pollution Prevention Plan. Read further details of the January report here. The CSI is a program of the Allegheny-Blue Ridge Alliance (ABRA) and its member groups. The central strength of ABRA’s CSI program is its citizen volunteers. Many people have already signed on to be part of the program, but many more are needed. Persons interested in becoming CSI volunteers can sign up by clicking here. This entry was posted in Citizen Activism, Citizen Surveillance, Construction, Notice of Violation on January 27, 2019 by Ellen Bouton.